Anyways let us get on with the post, shall we? 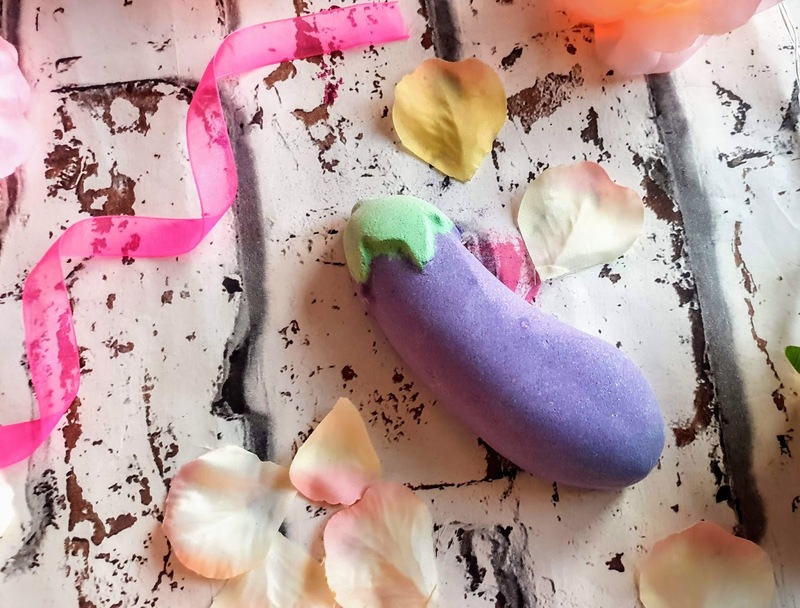 Its definitely inspired by the emoji aubergine and my goodness it sure looks cheeky but it looks quite fun too. It has to be one of the best designed Lush bath bombs right? Now I have looked at the ingredients and I was quite surprised as 3 of the main things in this are 'Fresh Aubergine', 'Bergamount Oil' and 'Tonka Absolute'. Now I have got to admit I am very impressed they actually have fresh aubergine in the aubergine LOL! Its brilliant don't you think? Anyways as I said above the 3 main ingredients but for me, it was sweeter and I honestly thought it smelt a little bit like violet. The smell gets more intense once it starts to foam in the water too. Once Aubergine hit the water it started foaming and the foam itself was very soft and almost felt like velvet. It had to be one of the longest bath bombs to completely melt but it was impressive the display it gave. 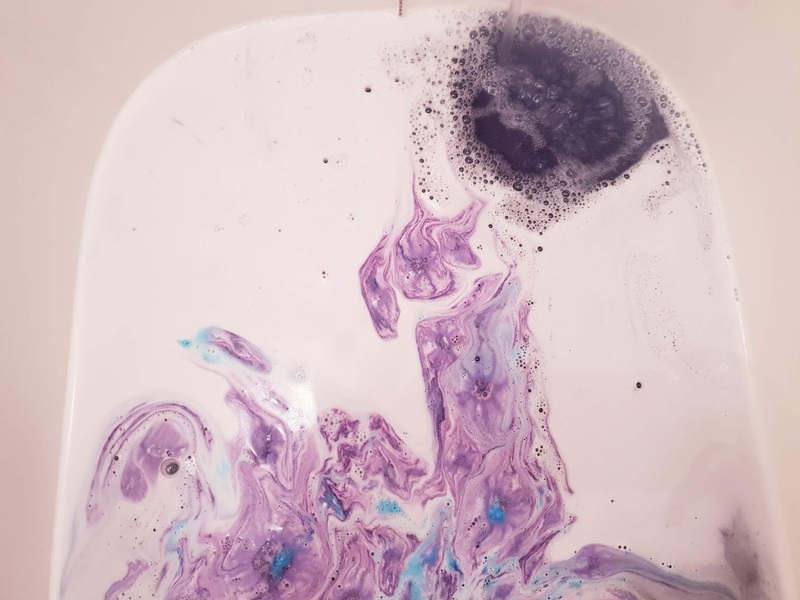 It burst into a lovely display of lilac and green and a few moments after once it started to melt a little bit more they were an electric blue in the middle which added more heightened drama to the bath as you can see in the photo. Once it was completely melted my bath was a gorgeous deep purple with lots of sparkles, it looked amazing. The bath water felt lovely and silky too which was relaxing along with the lovely fragrance of the bath bomb itself. I really didn't want out the bath after this because it was just heavenly. 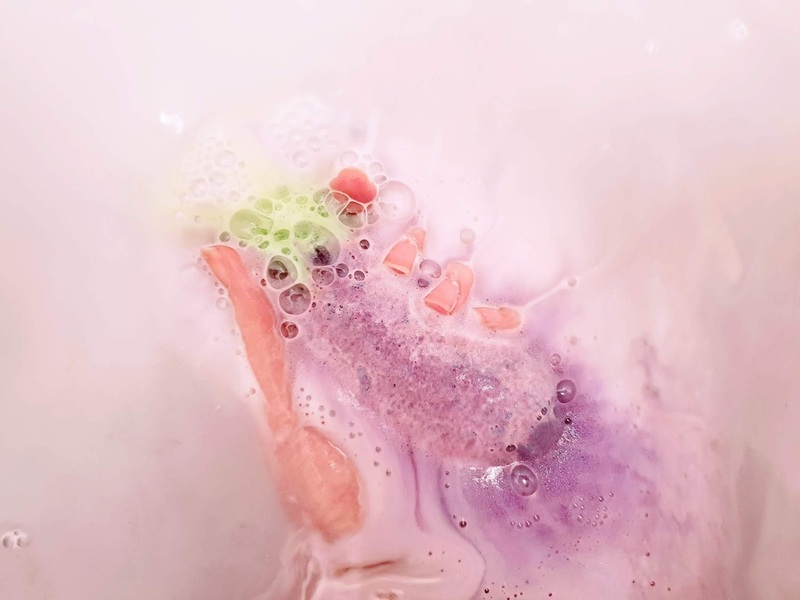 The smell of this is just amplified once in the bath and the smell is just relaxing and the bath water feels silky, its just one of my favourite bath bombs yet. 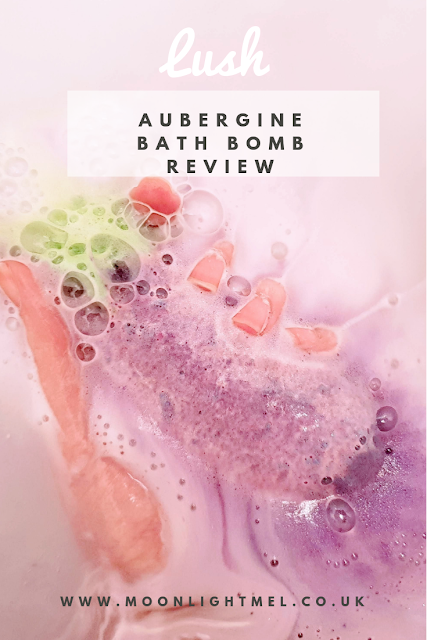 Which Lush products have you bought lately? I missed the Valentine's range this year but I really hope they bring this back as it looks and sounds amazing!